Here’s an article I invite you to consider on the website The Usual Routine (T.U.R.). It states that the ancients saw all planets moving in direct motion as opportune times of great fortune. It’s tantamount to the entire cosmos shouting as we journey through space, “All systems go!” All planets on deck and the people on them! This cosmic event is the perfect time to kick off my first Radical Vision in Action post. The two levels where we can help ourselves and the world condition are on the inner plane and in the outer world. For this first Radical Vision/Action post, I’d like to focus on the inner plane or the energy field surrounding all living things. The same goes, of course, for collective bodies like families, political parties, countries—and indeed, the world. To help yourself balance and heal yourself, to take advantage of a period where you can surf the cosmic waves easily helps not only you but the entire universe. If you find yourself thinking or articulating some variation of this phrase, know you have the power to help change it on the inner, in the field, especially during this month-long window of opportunity. 1. 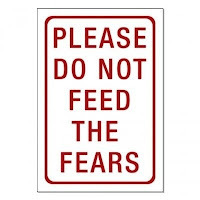 Do not feed your fears. 2. Envision the world as you want it to be. 3. In your visions, do no harm to others or yourself. Apologies to those who were also raised Catholic, but the metaphor is too spot-on to overlook. 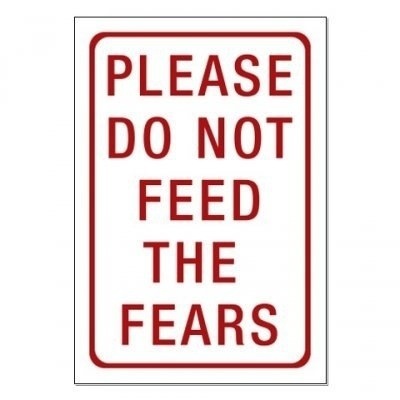 I first saw Please Don’t Feed the Fears on Facebook as a sign, a play on “Please don’t feed the bears.” If you feed the fears, they’ll feed on you. You’ll find yourself an entrée to all your demons. You’ll fill the field with fear and more fear. Fear energy and thoughts are highly contagious. You not only hurt yourself; you hurt everyone else. For those worried about the results of the US election, Brexit and any number of terrorist and scary events happening worldwide; this is for your consideration. The way the world works, things manifest from the inside out. The more people who focus on the world as they want it to be, the more their vision will become “matter” in the real world. I’m not talking about rose-colored glasses but rather a refusal to buy into doom and gloom, no matter how things look on the outside. If we buy into “what we see is what we get,” that’s what we’ll get. There’s no change possible. What we see on Earth now is part of a process—one we can contribute to by how we think, feel and act. Certainly, act on what you do not accept. Write letters, protest, elect officials who support what you believe is life-affirming. But the most important thing we can do is an inner job to hold ourselves to spreading love, not fear. I know that isn’t easy, to assess what is an imminent threat opposed to identifying and letting go of worst-case maybes. (We have an inner alarm system for a reason.) The other important mental picture to hold: Any current chaos is the precursor to knowing what on Earth is going on. 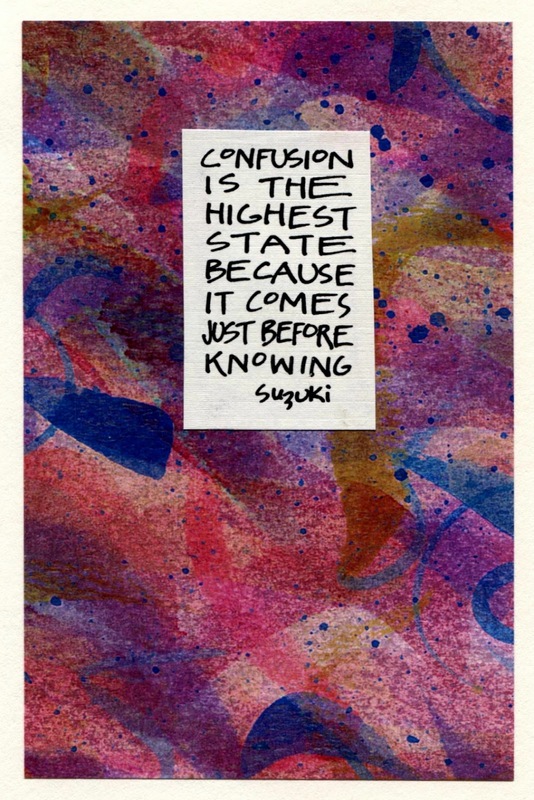 Confusion precedes new creation and clarity. At the beginning of this month where the planets all are direct, consider working from the inside out to accomplish whatever you want for yourself and others. After that, you might want to keep going—stoking positive visions and letting go of fear. 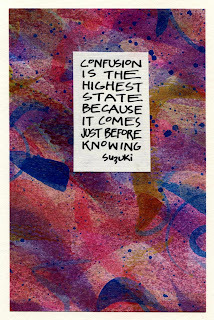 Photo Credits: Planets – blueringmedia – Fotolia.com; Don’t Feed Fears Sign - www.movemequotes.com; Quote by Suzuki on Confusion – Art by Orna Pascal - http://coalshedstudios.com/orna-pascal/.